If you’ve ever maxed out your hard drive, you know it can be a nightmare that requires tons of file-juggling. 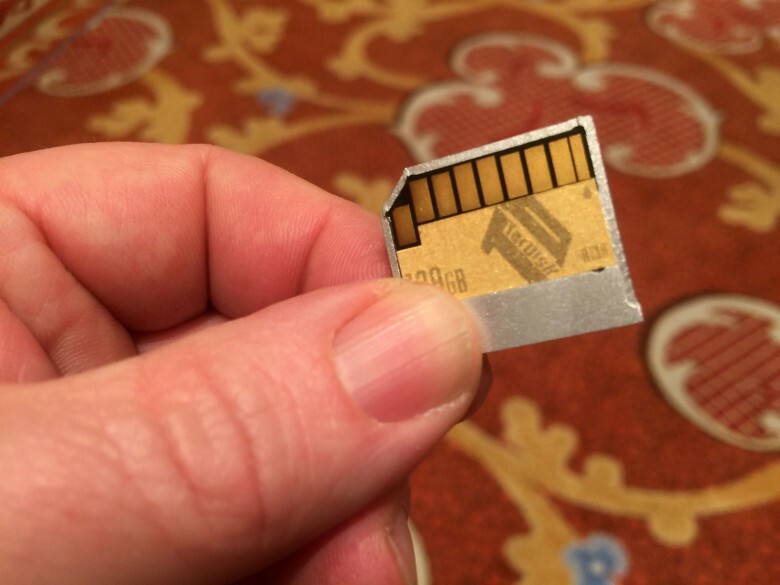 The TarDisk Pear is a quick flash-storage fix that doesn’t require a lot of thought or effort. The device’s unibody aluminum frame slides into your MacBook’s SD card reader and stays there forever. (Technically, you can remove it, but the card reader won’t work like it previously did, so … there’s really no point in pulling out the Pear.) It sits flush with the MacBook body so nothing protrudes. “Magic isn’t a good enough answer, right?” Schiller said, laughing. The short answer is TarDisk Pear makes under-the-hood tweaks that trick your MacBook work like its hard drive got instantly doubled. Buffering, and migration of files you use most often, mean your Pear-ified MacBook runs like normal, only with more space, he said. Schiller said they’ve sold thousands since launching in October and, despite a few tech-support wrinkles that have since been ironed out, customers have loved the easy instant upgrade. The devices reportedly hold up wonderfully in demanding tests — “We haven’t had any failures, and we’ve really driven these things,” Schiller said — and TarDisk now offers easy one-click backup to cloud storage for people concerned about losing precious files. So far, the only ones who have expressed anxiety about permanently disabling their MacBook’s SD card reader as a result of the upgrade have been photographers, who use the slot to transfer image files. Schiller’s recommendation for them is to carry a USB card reader. The 128GB TarDisk Pear retails for $149. The 256GB model costs $399. It’s not the cheapest upgrade, but if you’ve been regretting not going for the larger hard drive ever since you bought your MacBook, it’s a quick way to ease your remorse. P.S. And of course the TarDisk crew are Doctor Who fans — install the Pear and your MacBook is instantly “bigger on the inside,” Schiller said.